A recent article by Stephen Leahy titled, Data Shows All of Earth’s Systems in Rapid Decline, sounds a dire warning. As the pace of ecosystem decline and species extinctions accelerates, the prospects of human survival on planet Earth grow ever dimmer. What has money to do with all that? Everything! 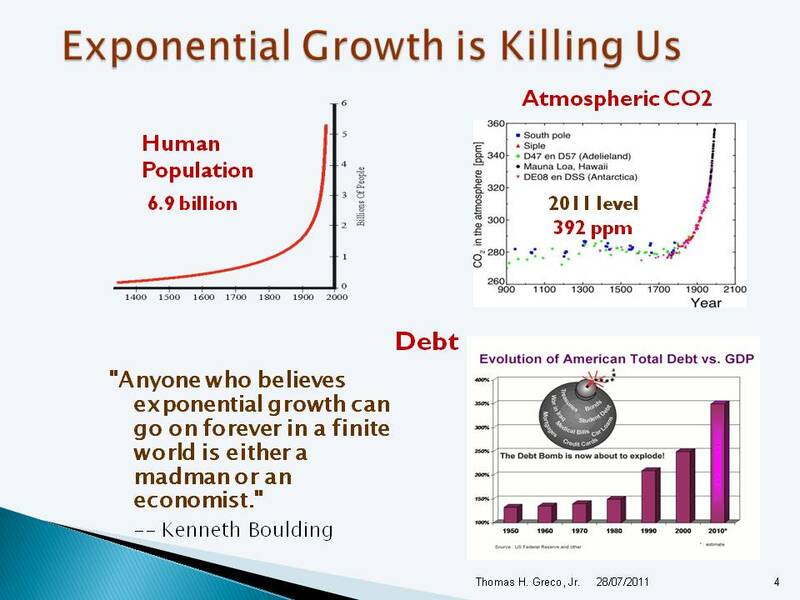 As one of my favorite economists, Kenneth Boulding, has said, “Anyone who believes exponential growth can go on forever in a finite world is either a madman or an economist.” Unfortunately, it seems that they are the ones who are running the world. Those who control the creation of money have the power to control everything else. Thus, our political leaders are in thrall to the top level financial establishment and the orthodox economists who perpetuate the myth that the debt money system is giving us the best of all possible worlds. Of course, the rest of us, though ignorance and inattention, have also been deluded and complicit in their malfeasance. Economists, by and large, still worship the “Growth God,” arguing that all of society’s ills can be solved by further increasing material production and consumption. 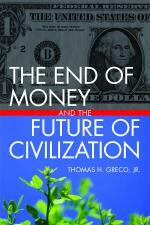 Population, atmospheric carbon dioxide, and debt are three things that have long been growing exponentially. All of these are causes of the global mega-crisis, but the most fundamental of these, and the one most subject to human amelioration is debt. 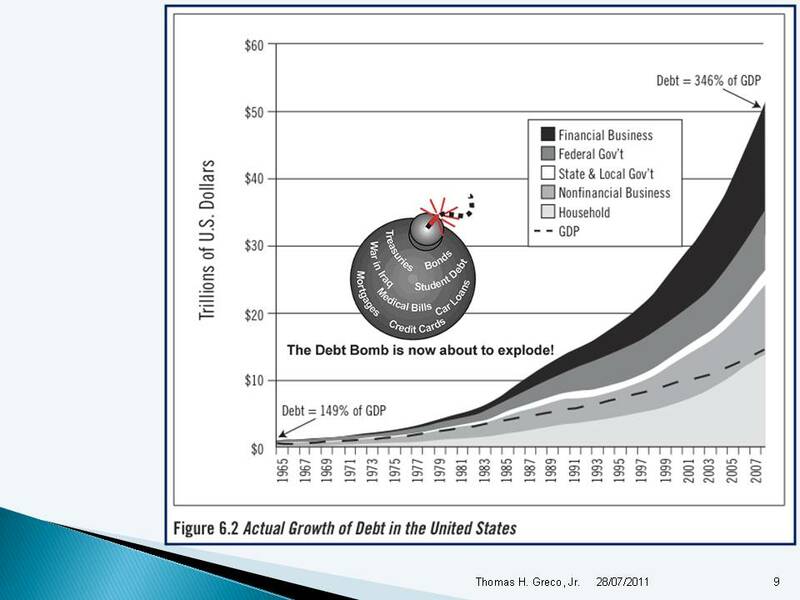 As I’ve been describing it in my recent presentations (see, e.g., my slide show, Financial Planning in the Emerging Butterfly Economy), the global debt-money system, based as it is on lending money into circulation at compound interest, is the DRIVER of the mega-crisis. This, because it has inherent in it a debt-growth imperative. As interest on debts accrues with the passage of time, more debt must be created in order to keep the supply of money in circulation sufficient for older debts to be repaid (with interest). The always deficient supply of money in circulation puts continual pressure on companies and individuals to increase their production as they attempt to earn enough money to pay what they owe. Ultimately, it is impossible for all debts to be paid. Hence, throughout the modern era, we have seen overall debt growing much faster than GDP or any other measure of real economic output. We must either give up the practice of lending at interest (usury, riba) and embrace monetary and financial systems that enable the butterfly economy to emerge, or see the world descend into chaos as nature applies her own correctives upon the Earth and its inhabitants. This entry was posted in Prescriptions, The Debt Imperative, The Political Money System. Bookmark the permalink.